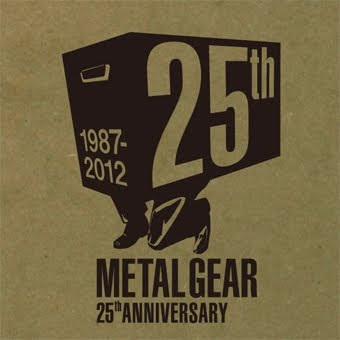 The 25th anniversary of the Metal Gear Solid franchise is being celebrated with a flurry of different announcements from Kojima himself. So for all of you Metal Gear Solid fans out there, there have been two HUGE announcements at the 25th anniversary in Tokyo. The first, and probably the thing most people are skeptical about at the moment is the talk of a MGS Movie. Konami, with Columbia Pictures, officially announced this at the 25th anniversary event. Avi Arad, the maker of Iron Man, The Amazing Spiderman, and X-men will be the producer for the movie and was even on stage during the event. There isn't much real information yet, other then the fact that the idea for a MGS movie has been around since 2010. It was originally shelved, though, because Konami didn't agree with the direction it was being taken. Famitsu has a few images here from the entire event. IGN also has a small article and video you can watch. Personally, I'm extremely excited for this. I trust Kojima enough not to mess this up. At the same time, Kojima is probably one of the biggest trolls in the gaming industry. It's a complete toss-up. The next big announcement made was the making of Metal Gear Solid: Ground Zeroes. Guests were told not to actually say anything about the game during it's real world demo, which wasn't even in English. Of course this didn't happen and plenty of rumors and twitter images showed up anyway! The most common thing is simply how beautiful and blown away everyone was at the game. @markmacd[/url]']Demo of 'Metal Gear Solid Ground Zeroes', started w cutscene (all realtime), went into gameplay, open world, night, raining, base. AMAZING," followed by "Snake crawled @ avoiding searchlights, killed guard, rode jeep, called in heli for evac. Sounds like MG, but the scale & atmosphere... Wow. Famitsu was the source of the image to the right. If it's a picture of a cut-scene or real game-play footage, I can't tell. It looks amazing either way. I am extremely excited for this and can not wait. Oh my gosh, I'm such a loser. I've never even played a Metal Gear game. Seriously? You've missed out on one of the best games to ever exist. In fact, I'm going to replay the first one right now to make up for what I've just read. Update: More information on the new game will be released this Saturday at the PAX Prime MGS 25th Anniversary panel hosted by Kojima. It has also been confirmed to be running on the new FOX engine.Looking forward to the information that will be released. Played Snake Eater on the 3Ds and enjoyed it. This will probably be PS3(or 4 I really don't know) but still pretty cool though.I'm confused. Will this star Snake or not? Cause I thought the most recent one (Sons of Liberty or whatever) was the last Metal Gear game as far as Snake is concerned. I really think this might be a pc only game. I don't think the PS3 or Xbox will be able to handle it. I could be wrong though.Hopefully we will know more tomorrow during the panel.As far as Snake is concerned, that was simply the end of his storyline from what I remember. 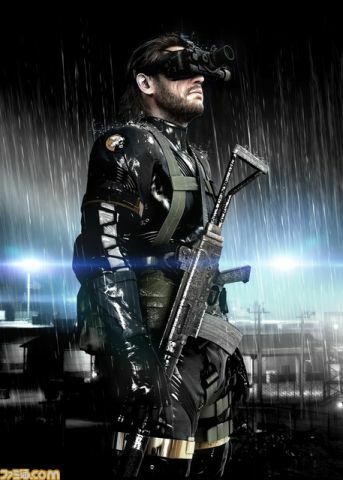 This game will probably just be a random mission he had between the MGS and MGS2 games. Not exactly part of the storyline, but still in the same timeline.If it isn't Snake, people will be pretty upset though. IGN has a 14 minute demo as well. Same thing with extended footage. Official trailer, with what seems to be gameplay footage at the last two minutes. It's so hard to tell though. If it was, the transition was amazing. Easily on par with the transitions for Uncharted, which blew me away. From what I can gather from the video ( Although I REALLY suggest watching first ) is that you will be playing as Snake. This is also going to be a continuation of his storyline. Since he appears to be old and the signature line; "Age hasn't slowed you down one bit" was used. It appears the main 'enemy' so to speak will be XOF, another faction created similar to Fox-Hound. Other than that, I really can't tell much else. Besides that the child you see in the beginning will probably play a big role in what happens. In fact, and this is complete speculation, makes me wonder if he will be the next 'Snake' so they can continue the games. The graphics are simply stunning. The lighting and textures are perfect. The transition from movie to gameplay was perfect. If it even was a transition, I swear it looks like the camera is being moved when he does gain access to actually play as Snake. I am nearly in shock after watching that trailer, and it didn't even really show much at all. This will easily be the number one game to watch for. So if you are a MGS fan, keep your eye on this. if you've never played one, no time like the present to start! I would suggest reading up on the lore though, since the game is very heavily story based. [23:23:13] <Snugz> Well, he is like.. 60? [23:28:14] <PureYeti> i notice a "Fox"
[23:28:53] <Snugz> It looks to me like XOF is a group that defected (sp?) from FOX-HOUND. [23:30:27] <Snugz> Uh, the cyborg from MGS1 maybe? I forget his name. I do need to get up-to-date again with my MGS lore it seems. I'll post more as rumors begin to float and more information is leaked. I personally thought playing as an older, physically-limited character in MGS4 was frustrating. Was hoping they'd go a different route, such as whoever is in the Famitsu picture. Kojima speaks to fansFinally the panel from Kojima talking about the future of Metal Gear******************* I'm watching this now, will edit this post tomorrow with a quicker recap of the hour long video. Didn't see how long it was, lol.